The Marabou Stork is a large species of stork found in parts of sub-Saharan Africa. These birds are unmistakable due to their large size, bare face, dark wings, and conspicuous pink throat sack. This is our totally cute Birdorable version of the Marabou Stork! You can customize this gift! 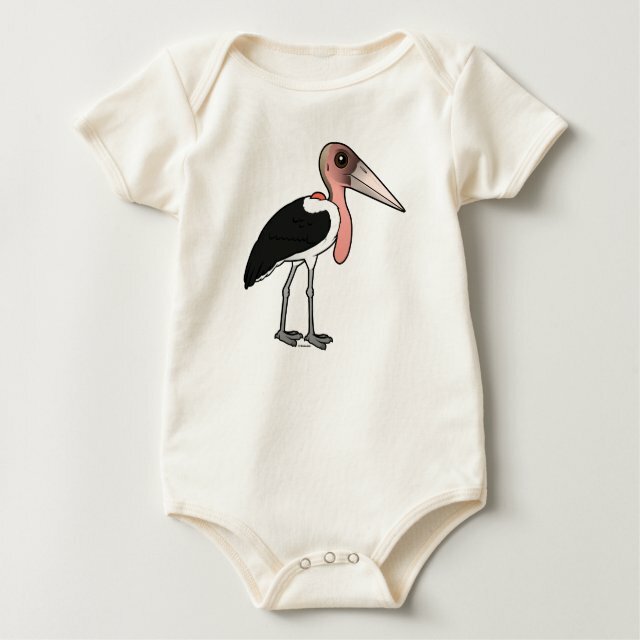 Move the stork around, change the product color or style, add text or images -- make it your own! If you'd like to see the Birdorable Marabou Stork on a different product not currently available, please send us a message and we can make the product available in our store.